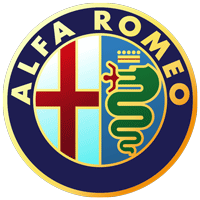 Alfa Romeo Automobiles is an Italian car manufacturer created on June 24, 1910 in Milan. Alfa Romeo has been a part of the Fiat Group since 1986. The company was originally known as A.L.F.A., which stands for Anonima Lombarda Fabbrica Automobili (Lombard Automobile Factory, Public Company). Aston Martin Lagonda Limited is a luxury car company that was started in 1913 by Lionel Martin and Robert Bamford. The company name is derived from the Aston Clinton hill climb and one of the company's founders, Lionel Martin. Audi AG is a German automobile manufacturer with headquarters in Ingolstadt, Bavaria, and has been an almost wholly owned (99.7%) subsidiary of the Volkswagen Group since 1964. Bentley Motors Limited is a British registered company that designs, develops, and manufactures Bentley luxury motorcars which are largely hand-built. It is a subsidiary of Volkswagen AG. Now based in Crewe, England, Bentley Motors Limited was founded by W O Bentley on 18 January 1919 in Cricklewood, North London. Bentley cars are sold via franchised dealers worldwide, and as of November 2012, China was the largest market. 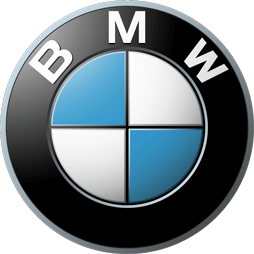 BMW or Bayerische Motoren Werke is a German car manufacturer, founded on 7 March 1916. It is headquartered in Munich, Bavaria. BMW is part of the 'German Big 3' luxury car manufacturers, along with Audi and Mercedes-Benz. Chevrolet is an automobile manufacturing company owned by General Motors. Chevrolet is known for producing popular, affordable cars. Chevrolet was created in 1911 by Louis Chevrolet and William Durant. Chrysler is a car manufacturer based in the United States. They are one of the oldest car manufacturers in the world. They own other car companies such as Dodge and Jeep. It was created by Walter P. Chrysler in 1925 when he renamed the Maxwell Motor Company. From 1998 to 2007, Chrysler was part of the German company DiamlerChrysler. Citroen is car manufacturer based in France. It was founded by Andre-Gustave Citroen in 1919 and it became the first mass-production car company outside the USA and pioneered the modern concept of creating a sales and services network that complements the motor car. In just over seven years, the Dacia brand has become a genuine global success story. 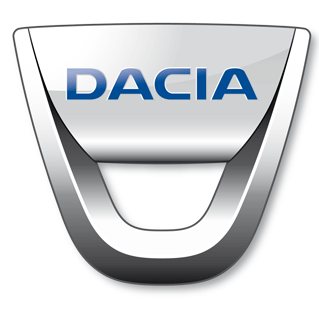 In 2010, 350,000 people bought a new Dacia in 35 countries worldwide, making them the fifth-bestselling passenger car brand in France (in 2011), as well as market leader in Romania and Morocco. Daewoo Motors was a South Korean automotive company established in 1982, part of the Daewoo Group. It sold most of its assets in 2001 to General Motors, after running into financial trouble, becoming a subsidiary of the American company and being renamedGM Daewoo. In 2011, it was renamed again to its current name, GM Korea. Dodge are an American automobile, SUV and truck maker. They are based in Auburn Hills, Michigan. Dodge was created by brothers Horace and John Dodge in 1900. Dodge was sold to Chrysler in 1928. Ferrari is an Italian luxury sports car manufacturer based in Maranello. Founded by Enzo Ferrari in 1929, as Scuderia Ferrari, the company sponsored drivers and manufactured race cars before moving into production of street-legal vehicles. Fiat was founded in 1899 by a group of investors, including Giovanni Agnelli. During its more than century-long history, Fiat has also manufactured railway engines and carriages, military vehicles, farm tractors, and aircraft. In 2013, Fiat was the second largest European automaker by volumes produced, and the seventh worldwide. The Ford Motor Company is an American multinational automaker headquartered in Michigan, Detroit. Ford was founded in 1903, by Henry Ford who set up a manufacturing plant in Co Cork which ran between the years of 1917 to 1984. Honda Motor Co Ltd, is a Japanese public multinational corporation primarily known as a manufacturer of automobiles, motorcycles and power equipment. Honda is headquartered in Minato, Tokyo, Japan. Hyundai Motor Company is a Korean car company. It is based in Seoul, South Korea. Along with Kia, it makes up the Hyundai Kia Automotive Group. As of 2011, it is the world's fastest growing automaker for two years in a row. In 2008, Hyundai ranked as the eighth largest automaker. Jaguar Cars is a brand of Jaguar Land Rover, a British multinational car manufacturer headquartered in Whitley, Coventry, England, owned by Tata Motors since 2008. Jaguar was founded as the Swallow Sidecar Company in 1922, originally making motorcycle sidecars before developing passenger cars. Jeep is a brand of American automobiles that is a division of Chrysler Group LLC, a wholly owned subsidiary of Italian multinational automaker Fiat. Jeep's product range current consists solely of sport utility vehicles and off-road vehicles, but has also included pickup trucks in the past. Kia Motors is a Korean car company. Their headquarters are in Seoul, South Korea. It is the second-largest automobile manufacturer in that country, after Hyundai Motor Company. Kia sold of over 1.4 million vehicles in 2010. The company is partly owned by the Hyundai Motor Group. Automobili Lamborghini is an Italian brand and manufacturer of luxury sports cars, which is owned by the Volkswagen Group. Lamborghini's production facility and headquarters are located in Sant'Agata Bolognese Italy. The history of Lamborghini Automobili officially starts in 1963. Land Rover is a brand of the British car manufacturer Jaguar Land Rover, which specialises in four-wheel-drive vehicles. The Land Rover name was originally used by the Rover Company for one specific vehicle model, named simply the Land Rover, launched by Rover in 1948. Lexus is the luxury vehicle division of Japanese automaker Toyota Motor Corporation. First introduced in 1989 in the USA, Lexus is now sold globally and has become Japan's largest-selling make of premium cars. Lexus is headquartered in Nagoya, Japan. Maserati is an Italian luxury car manufacturer established on December 1, 1914, in Bologna. The company's headquarters are now in Modena, and its emblem is a trident. It has been owned by the Italian car giant Fiat since 1993. Mazda Motor Corporation is a Japanese automaker. Mazda began as the Toyo Cork Kogyo Co. Ltd, founded in Hiroshima, Japan in 1920. In 1931 Toyo Kogyo moved from manufacturing machine tools to vehicles with the introduction of the Mazda-Go autorickshaw. The company formally adopted the Mazda name in 1984. Mercedes-Benz is a brand of cars and trucks from the Daimler AG company of Germany. The company was once known as Daimler-Benz and is still sometimes called just "Mercedes." Mercedes-Benz is the world's oldest car maker and the cars they make cost a lot of money. Mini is a British automotive marque owned by BMW which specialises in small cars. Nissan Motor Corporation, usually shortened to Nissan is a Japanese multinational automobile manufacturer headquartered in Nishi-ku, Yokohama, Japan. Nissan Motor Corporation sells its cars under the Nissan, Infiniti, Datsun, and NISMO brands. Opel, full name Adam Opel AG, is an automobile maker from Germany, founded in 1862. Since 1929, Opel is the German brand of the American automaker General Motors. The company headquarters are in Russelsheim, Germany. Peugeot is a French car brand, part of PSA Peugeot Citroen. The Peugeot name has existed since 1810, in the early days lending its name to tools and coffee grinders before taking on bicycles, motorcycles, scooters and cars. Porsche was created in 1931 by Ferdinand Porsche. Porsche SE is headquartered in Zuffenhausen, a city district of Stuttgart, Baden-Wurttemberg and is owned by the Porsche and Piech families. Renault is a French multinational vehicle manufacturer established in 1899. The company produces a range of cars and vans, and in the past, trucks, tractors, tanks, buses/coaches and autorail vehicles. Renault was the ninth biggest automaker in the world in 2011. Rolls-Royce Limited was created over a famous lunch in May 1904. Henry Royce, a successful engineer, struck a deal with Charles Rolls, owner of one of the first car dealerships. The rest is history. The ensuing series of two, three, four and six cylinder cars broke the mould for engineering and craftsmanship. Rover was a British automotive marque used between 1904 and 2005. It was launched as a bicycle maker called Rover Company in 1878, before manufacturing cars in 1904. The brand used the iconic Viking longship as its logo. Skoda Auto, more commonly known as Skoda, is an automobile manufacturer based in the Czech Republic. The car manufacturer was founded in 1895 as Laurin & Klement, it was acquired by Skoda Works in 1925, and became a wholly owned subsidiary of the Volkswagen Group in 2000. Smart Automobile is a division of Daimler AG that designs, manufactures and markets microcars. Headquartered in Boblingen, Germany, Smart has its primary assembly plant in Hambach, France. SsangYong Motor Company is the fourth largest South Korean automobile manufacturer. The name SsangYong means double dragons. Subaru is a car company that is part of a larger Japanese company called Fuji Heavy Industries. The name Subaru is a Japanese word for a star cluster in the sky named Pleiades, and the company logo has the stars in its picture in the same place as they are in the sky. Tesla Motors, Inc. is an American company that designs, manufactures, and sells electric cars and electric vehicle powertrain components. Tesla Motors first gained widespread attention following their production of the Tesla Roadster, the first fully electric sports car. Vauxhall Motors is a British automotive manufacturing company headquartered in Luton, Bedfordshire, and a subsidiary of the German Adam Opel AG, itself a wholly owned subsidiary of General Motors (GM). The company sells passenger cars and light commercial vehicles under the Vauxhall marque. Volkswagen is a German automobile manufacturer headquartered in Wolfsburg, Germany. Volkswagen is the top-selling and original marque of the Volkswagen Group, the biggest German automaker and the second largest automaker in the world. Would you like to see our pricelist for your car? At Tyre and Service Superstore we carry a wide range across all the premium tyre manufacturers. We also stock a wide range of mid range and economy tyres to suit all lifestyles and budgets. As your tyres are the only part of your vehicle to have contact with the road it is important to ensure that they are of the desired level of quality. Take a browse through our recommended tyre brands which we hope will help you make an educated decision on the most suitable tyre to choose.